Have you ever found yourself yelling at your television as your favorite show went to winter break? Or maybe you have leaned in as a storyteller brought you to the edge of a cliffhanger? Or how about the feeling you get when your friend is telling a big story, and you can’t wait for them to get to the end? In each of these moments, there is one common denominator: tension. Tension is defined as mental or emotional strain. It’s the feeling that grows in your stomach as the big game draws to a close or the character you love is being cut open on the operating table. It is the heartache you feel when a fight has left you feeling separated from a friend. And it is the biggest tool a presenter has to keeping their audience on the edges of their seats for the entire presentation. As a presenter, it’s your job to turn your content into a story – to create a plot line that flows throughout and keeps your audience connected while ultimately pushing them to your desired outcome. By understanding and leveraging tension, you will find that your audience is not only more connected to you as a presenter, but they are excited about what is coming next. However, for many presenters, the idea of becoming a storyteller is daunting and seemingly impossible, so implementing tension is the last priority. 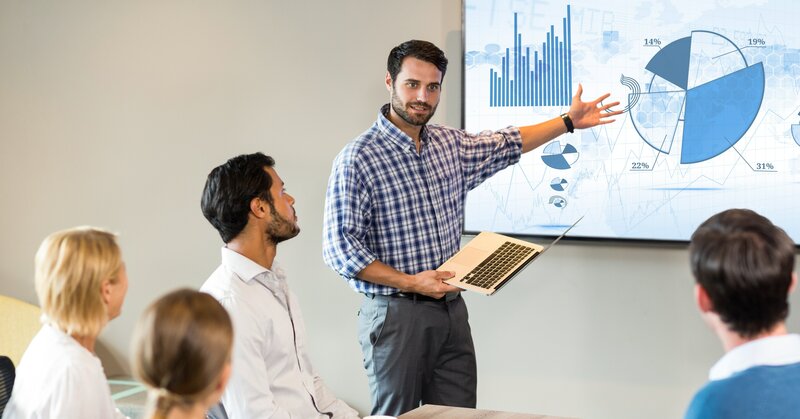 But with these 3 tips, you can easily engage your audience by leveraging tension to keep them connected throughout your whole presentation. The uneasy feeling of tension is what keeps us coming back to TV shows, what forces us to better ourselves, and what will keep your audience listening no matter how long the presentation lasts. However, if tension is not created early, you run the risk of losing your audience before you even get started. We recommend creating a tension point within the first 5 minutes of your presentation. This tension does not need to be big or make your audience feel too much undue stress, but it is a small check in to get them thinking. Most likely, this tension point will be created with a simple question or phrase that makes your audience take notice. By creating a tension point that is personal to your audience, you place them right in the middle of the tension. You force them to feel an emotional and mental strain and get their attention. Creating a personal tension plays on the different cognitive biases that each member has and makes them more likely to listen to what you have to share. Creating a personal tension can be done through visualization. Asking your audience to close their eyes and walking them through a visualization exercise that pulls them into the story and the tension is sure to capitalize on each individual audience member’s cognitive bias and make it personal to them. A major mistake many presenters make when creating tension with their audience is a lack of resolution. The reality is that an audience member can only live in the tension so long before they need a break. In the presentation world, we call these breaks an isle of refuge. They are quick snippets where the tension is resolved and your audience can breathe. These isles can be stories, humor, or a quick interactive element. It is important to find the right amount of isle of refuge for each presentation – too many, and your tension will dissipate; too few, and the anxiety of your audience will distract from the overall presentation. Tension is a powerful tool that can take a good presenter and turn them into a great one if leveraged well. At Ethos3, we believe that the power of tension will change the game for your next presentation, and we would love to be part of helping you create that tension. If you want to learn more about how our team can help, contact us today. Let’s make your next presentation your best one yet!